Our BLG book today was read by Dan: Crafty Chloe written by Kelly DiPucchio and illustrated by Heather Ross. Chloe is very good at making stuff. Sewing, crafts and creativity are where she shines. She sees the world through “what could I make with this?” eyes and her little world is all the more intersting because of it! My favourite picture has to be this one where we learn that Chloe is convinced that “anything becomes less boring with googly eyes on it”. When Chloe’s birthday shopping plans for her friend Emma are thwarted by classmate London who swoops in and buys the Violet doll Chloe had planned to purchase, Chloe announces that she is going to make something for Emma. London sneers. “You’re going to MAKE her something?” Chloe has a challenge ahead. When the ideas don’t come, she suddenly develops a horrible case of the chicken pops (horrible blue spots of the washable variety) and she announces that she will be unable to make Emma’s party. When her Mom reminds her that there will be pony rides and that Emma is a really good friend, Chloe’s illness quickly disappears and her inspiration returns. When London ends up dropping her gift into a mud puddle on route to the party, Chloe’s home made gift saves the day. AND it is beautifully adored by Emma. What we appreciated was how Chloe helped out London even when London had insulted her. Themes of friendhip, making good decisions and creativity. Are you a crafty kid? Or an adult who spends time with one? 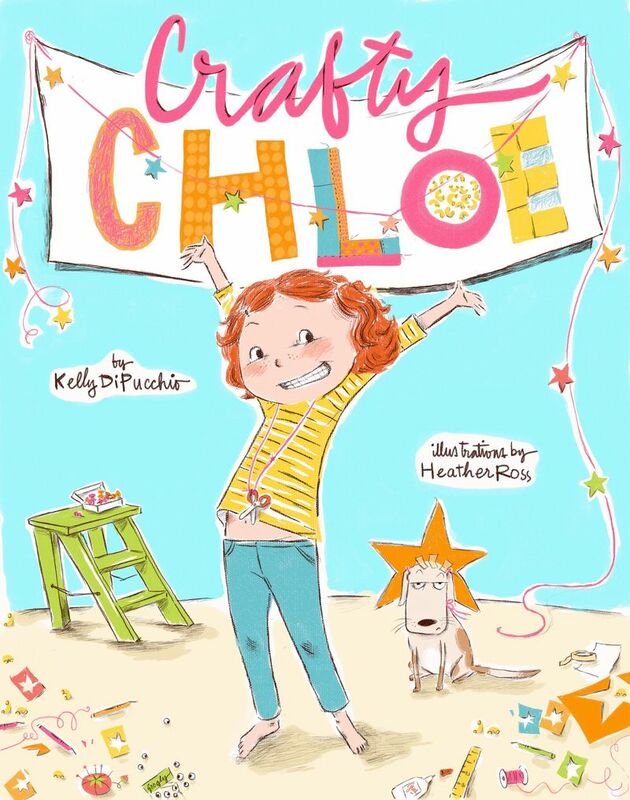 Check out Chloe’s crafty website to make the crafts featured in the book. Khai: I liked it because Violet said you’re going to make something? And laughed. Chloe still helped her. This entry was posted in BLG Reads this week and tagged BLG Reads, friendship, great read alouds, Heather Ross, Kelly DiPucchio, making connections, picture books by carriegelson. Bookmark the permalink.